Our qualified and experienced practitioners at Helen Howes know that once your baby is safely mobile they are ready to make the transition into the next stage of their development. Like our baby suite the toddler suite offers you and your baby the same high standards and has separate changing facilities, dinning room and cloak area. With plenty of time for cuddles and quiet story times, phonics and outdoor play this next stage gently supports them as they build on their independence. This next step of your baby’s journey is full of new and exciting things easily within their reach and filled with surprises. Sights and sounds, textures and senses now open up for your toddler and here at Helen Howes Nurseries we provide a safe secure friendly environment in which to explore them. 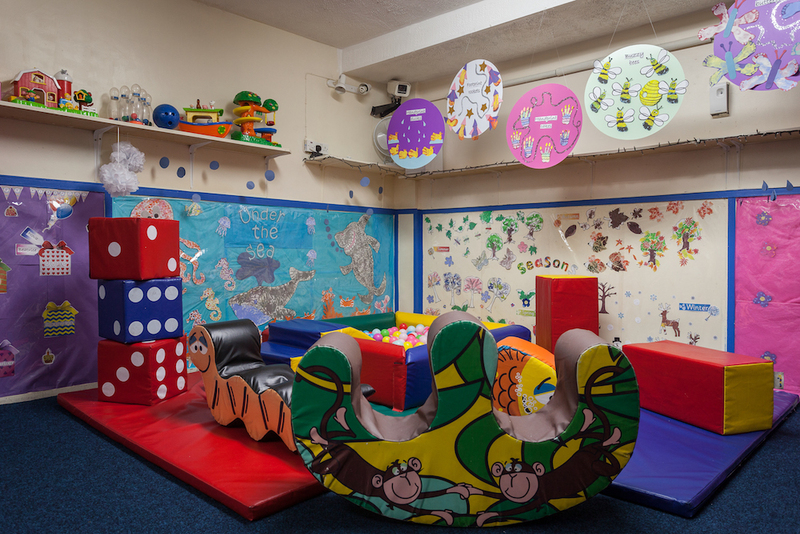 This stage offers your baby the use of two spacious rooms; one filled with toys and activities carefully chosen to build their confidence, the other a spacious creative room in which they can try different mediums such as sand, water, dough, paint messy play and more. Supported by their key practitioner your baby can explore this new world at their own pace. Through the use of their senses and early language your baby will build on their confidence whilst developing their creative flair. For our latest news and information, Like us on Facebook. 8am - 6pm Mon - Fri, 7.30am early starts available, please ask for information. Baby care in our safe and homely environment. How we help the start of your child's learning journey. Browse our gallery of photos or take a virtual trip around our nursery.